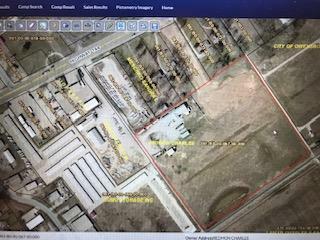 FOR SALE Property offers 13+/- acres of Light Industrial Zoned property in East Daviess County in close proximity to road, rail and river access. 3 distinct access entry and egress points near connector to I-165. Entire property offers perimeter security fencing and fronts CSX railway with direct access to Hwy 144 and private drives. Adjacent to OMU. Over 7,000 SF workshop.